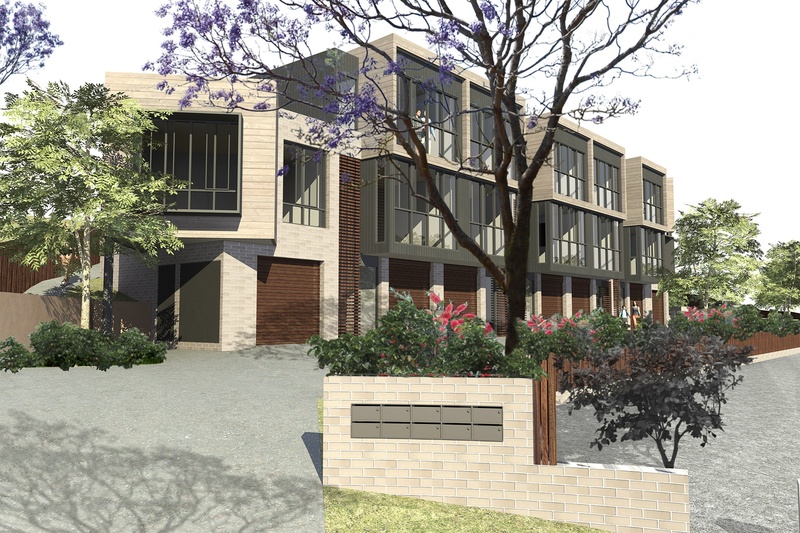 A boutique development of only 9 architect designed terrace homes in popular Adamstown, one of Newcastle’s most sought after suburbs. All 9 terraces are energy efficient, spacious and fitted out with modern appliances and luxuries. 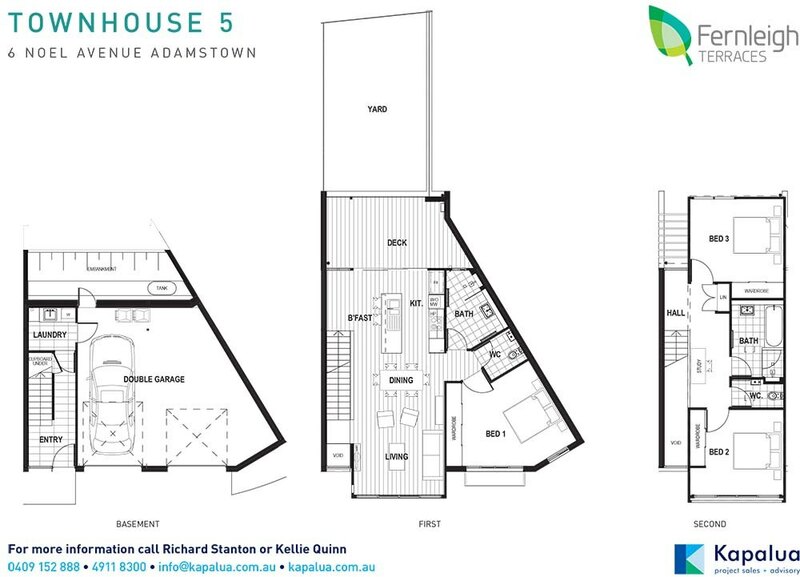 Situated in a cul de sac, residents enjoy privacy while remaining strongly connected to action in lively Adamstown. Kapalua Advisory achieved swift sales results, selling out this project prior to construction completion. 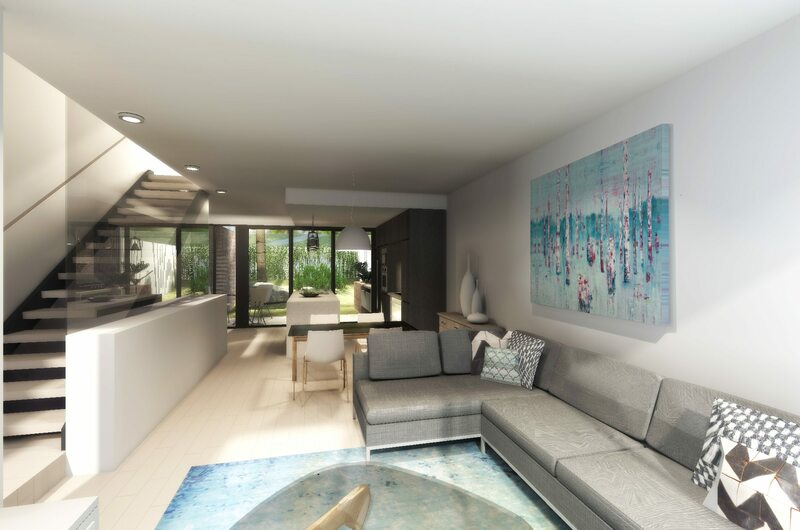 Fernleigh Terraces are in a class of their own offering ultra-modern and edgy living only minutes to Westfield shopping centre, schools and public transport. 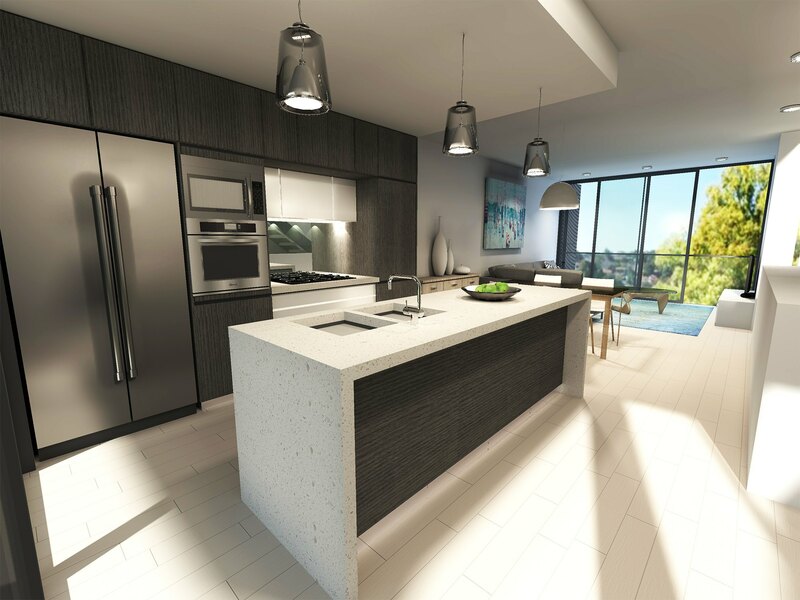 Nine terraces offer a mix of two and three bedrooms, substantial open plan living spaces, sleek main bathrooms and ensuites. All properties have their own outdoor living space adjoining the iconic Fernleigh Track. Located in Adamstown one of Newcastle’s most sought after suburbs, Fernleigh Terraces are in a class of their own offering ultra-modern and edgy living only minutes to Westﬁeld shopping centre, schools and public transport. 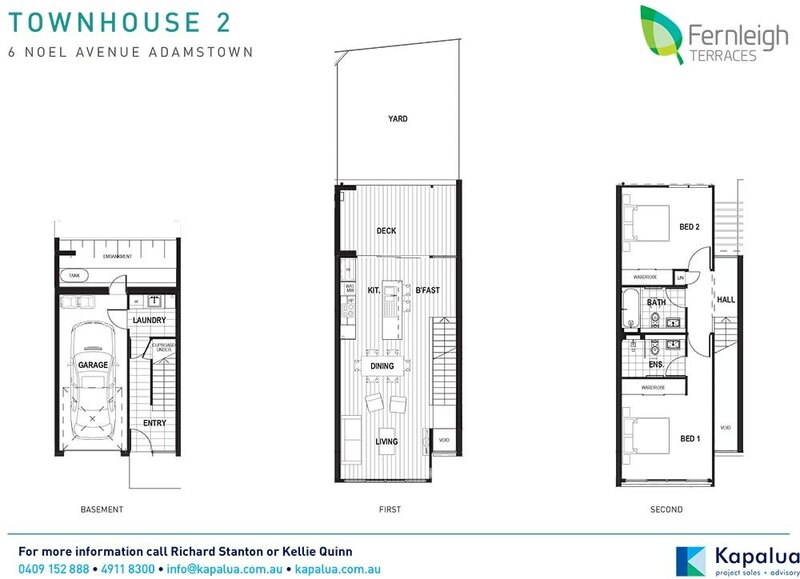 Townhouse 2 offers 2 bedrooms, both with built-in robes plus main bathroom and ensuite. Enjoy the convenience of major shopping centres only minutes away and just a short walk along the track to public transport and some of Newcastle’s best schools. Townhouse 5 offers 3 bedrooms, all with built-in robes plus main bathroom and ensuite and an additional media space plus deck adjoining the iconic Fernleigh Track.